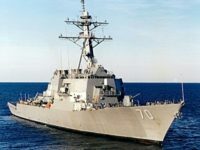 China’s Foreign Ministry expressed “strong dissatisfaction” on Monday after two U.S. warships sailed within 12 nautical miles of the Spratly Islands in the South China Sea in a Freedom of Navigation Operation (FONOP). 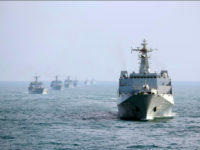 China’s People’s Liberation Army (PLA) has greatly increased its presence in the Taiwan Strait, part of the greater South China Sea, in response to the growing number of freedom of navigation operations by the U.S. Navy, the South China Morning Post reported on Monday. 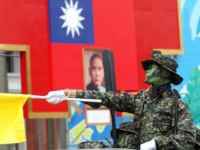 Chinese Defense Minister Wei Fenghe told a security forum on Thursday that China will use military force to prevent Taiwan from asserting its independence. 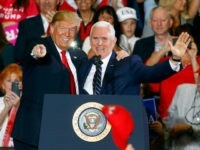 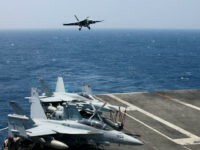 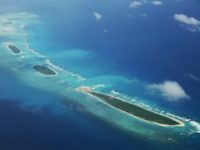 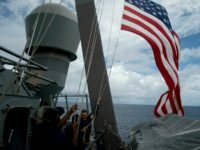 The latest American freedom of navigation patrol in the South China Sea provoked an angry response from China, delivered through editorials in state-run media that blamed the United States for escalating tensions in the region. 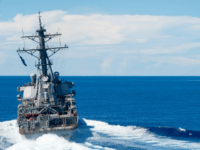 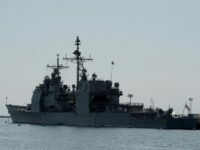 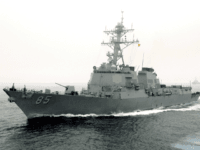 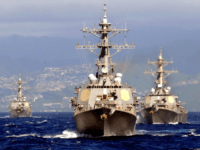 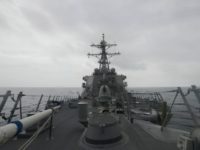 The latest freedom of navigation patrol for the U.S. Navy in the South China Sea brought the destroyer USS John S. McCain to within 12 nautical miles of a Chinese artificial island off the Philippine coast on Thursday.